Visit the beautiful French countryside that is rich in enchanted vineyards, rolling greens, architectural heritage and culture. 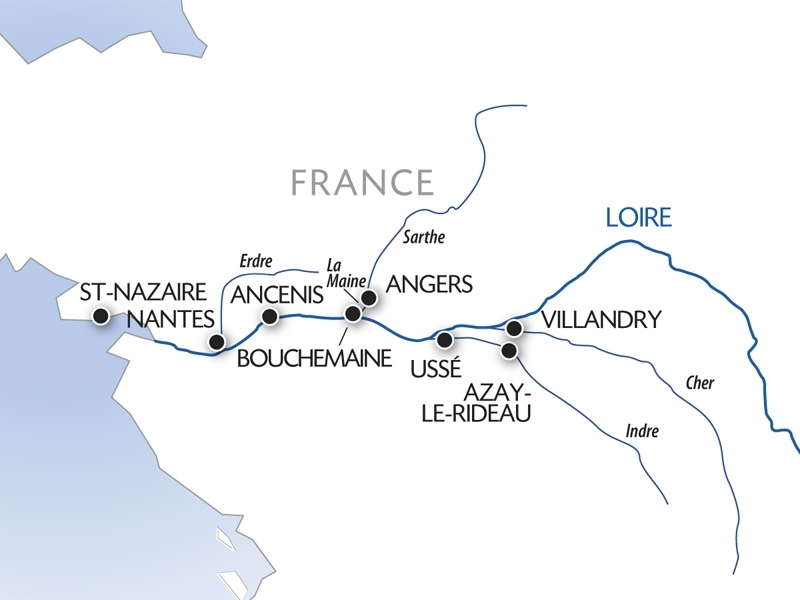 The Loire is the longest river in France and boasts an abundance of UNESCO heritage sites. Storybook villages, quaint medieval towns, and majestic châteaux and palaces line the banks of the river. The fertile landscape affords spectacular views of the region which attracts many artists, writers and poets. Our 6 day and 8 day cruises visit places in the Pays de la Loire region that are guaranteed to satisfy the traveler in search of culture and originality. Many of the stes are UNESCO-designated, including Nantes, Saint-Nazaire, Ancenis, Angers, the Castles of the Loire, and Saumur.